An ethnographic account of 11 couples (and 1 thruple! ), THREADS pulls back the curtain on human romantic relationships. What's the state of marriage today--and where is it headed? Proceeds benefit Kaleidoscope Counseling, a low-cost marital and family counseling center. A book meant to encourage and give voice to survivors of sexual assault, WHISPERS includes the inspiring true stories of ten (male and female) survivors and survivor-advocates. Proceeds benefit The SAFE (Stop Abuse for Everyone) Alliance. POSTMARKS features seven interviews with hospice care and/or memory care patients, their families, and their caregivers. A thoughtful meditation on time, memory, and the meaning of life. 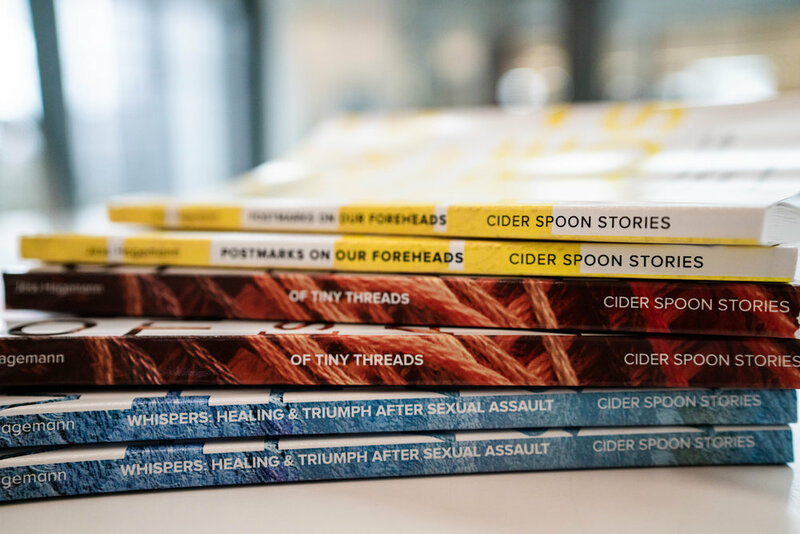 After launching Cider Spoon Stories in 2015 to help seniors, veterans, small business owners, and others write their life stories as books, Jess decided to offer this same service free of charge to terminally-ill patients at an Austin hospice care organization. As a hospice volunteer, she facilitates the Life Review process, asking open-ended questions and recording patients' answers. The biggest part of the job is LISTENING, as many hospice patients have no friends or family members to make them feel heard. Think of Life Reviews as time capsules for the current era. You might take everything about modern-day society for granted because you live in it, but fifty years from now the world will look nothing like it does today. Hospice patients, who range in age from 2 to 122, are their own time capsules, bursting with wisdom and dreams and stories. When you help fund a Life Review, you help preserve the past in the present for the future. Life Reviews are time-consuming projects, but these patients deserve a compassionate ear. While Cider Spoon clients pay for Jess's services, hospice patients never do. Your donation will help 'pay' for non-paying patients to have their life stories promptly and professionally published, granting them the peace of mind that accompanies knowing they will not be forgotten---their stories will survive them! Cider Spoon began when Jess wrote her grandfather's life story, completing it just days before he died. What a gift his book was to his grandchildren! Today you, too, can give the unlimited gift of legacy to hospice patients in Austin, Texas. LOVE THE IDEA AND WANT TO MAKE A DONATION? CLICK HERE. The following people helped Cider Spoon Stories make magic in the world. Thank you. Robert Ashcroft, Christen Barbercheck, Melissa Barbercheck, Jillian Barnes, Brandon Bross, Pamm Collebrusco, Stephen Eckart, Jenny Ericson, Adonis Fuller, Justin Gabitzch, Tony Ginocchio, Ariella Goldberg, Dave + Brenda Hagemann, John Hagemann, Kathryn Harris, Natalie Helfrick, Erin Holland, Samuel LaHood, Amy Lakin, Nancy Langley, Mary Lennon, Nancy Manning, Kyle Mares, Andrea McGinley, Mike + Jennie Mesterharm, Katie Michel, Lisa Modmum, Sarah Murphy, David Neider, Mike O'Krent, Melina Ponak, Valerie Popelka, Emily Rand, Lisa Raphael, Leonard Rice, Alex Ritzenberg, George Russell, Joann Schneider, Jane Schrader, Lisa Shaw, Alexander Smith, Teri Sperry, Mary Claire Sullivan, Jake Teitgen, David + Emily Tietz, Shanta Thoele + Pete Harbison, Allison Thomas, Gwen Tucker, Beth Wasmer + Sandy Wilson, Kristen Wedlock. 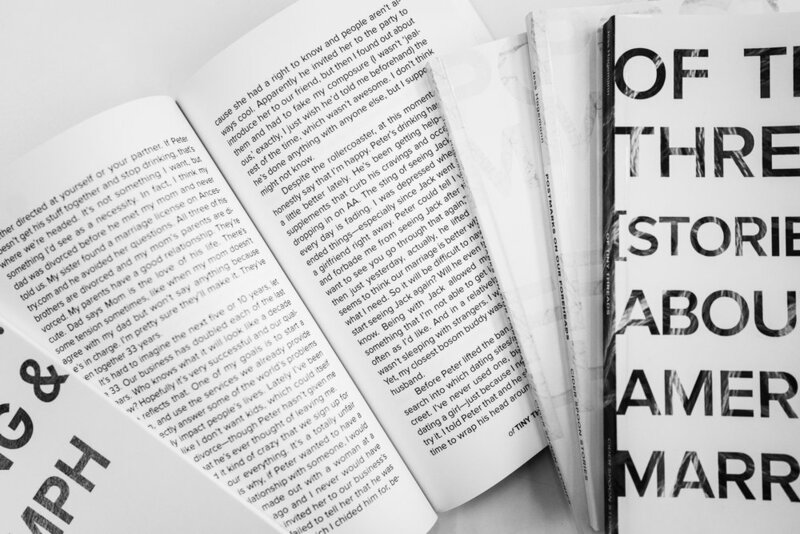 combined shipping when you also order our DIY kids' oral history guide! click here!